Confused by Thika Road? Then Huangjuewan interchange will make you cry – Kenyatta University TV (KUTV). All Rights Reserved. Confused by Thika road? If so your life as a driver in CHina could be more than a miserary if your Passenger Service Vehicle (PSV) or rather your, in particular, was to use your car via Huangjuewan interchange. Five suspended levels and automobiles leaving in all directions: a new highway interchange is driving motorists to tears, as they find themselves lost in a concrete maze resembling a plate of spaghetti. The structure balances five layers of traffic with the highest 37 metres above ground. No less than 15 ramps have been built to allow vehicles to move from one level to another, in eight directions, according to the municipality’s website. What if you chose wrong direction? 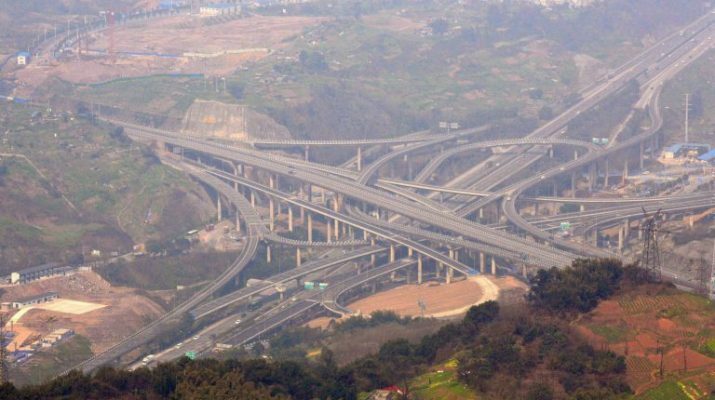 The Huangjuewan Overpass, which began being constructed in 2009, features five layers, 20 ramps and eight directions. An official on Chongqing’s urban and rural construction committee told Xinhua news agency that the complex design was necessary to link the city’s core, airport, and expressway, with each ramp leading to a different zone. “If you miss a ramp, you will reach Chongqing one day later,” warned one user on the social network Weibo. Maina Kageni to vie for women rep?